I have more than 400 holiday songs (I know, excessive) and I got a pretty good mix overall, though I did end up with two renditions of White Christmas and three tracks from sprite’s 2013 holiday playlist. While I’m on the subject of Christmas music, I joined sprite and Rudi tonight for TubaChristmas at the Kennedy Center Millennium Stage. It’s an annual free concert with a band comprised solely of tubas, sousaphones, and euphoniums — 350 of them, to be specific. It was a fun and different way to hear Christmas classics (along with lesser-known gems like “Santa Wants a Tuba for Christmas”). 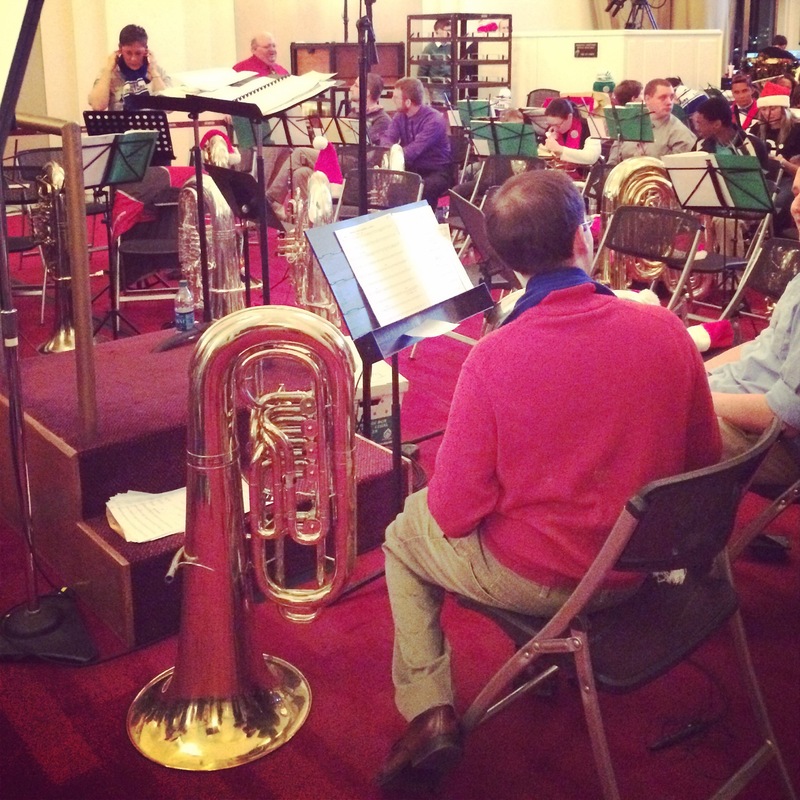 A snippet of what #TubaChristmas sounds like. My iPod liked certain albums, too, picking at least three songs off my dad’s Definitive XMas Mix (II), which is appropriate, I guess.